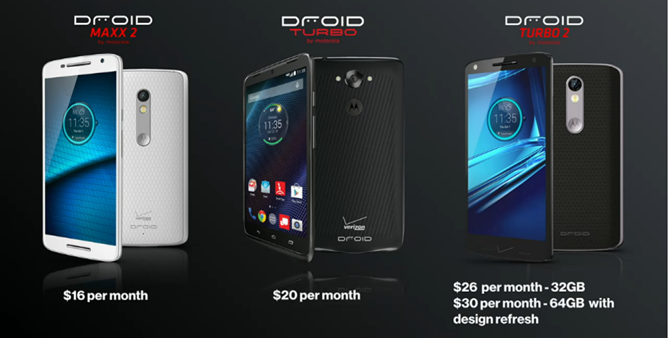 Verizon and Motorola are announcing the latest entries in their long-running DROID series in Chicago today. 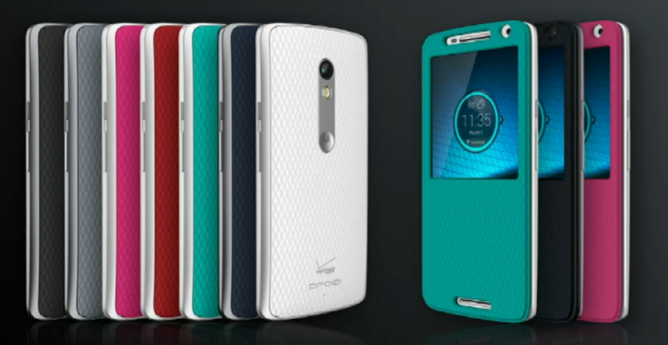 The DROID Turbo 2 is the new flagship, and its "shatter-proof" screen is the clear highlight, but the partners also announced an updated version of the popular DROID Maxx from 2013. 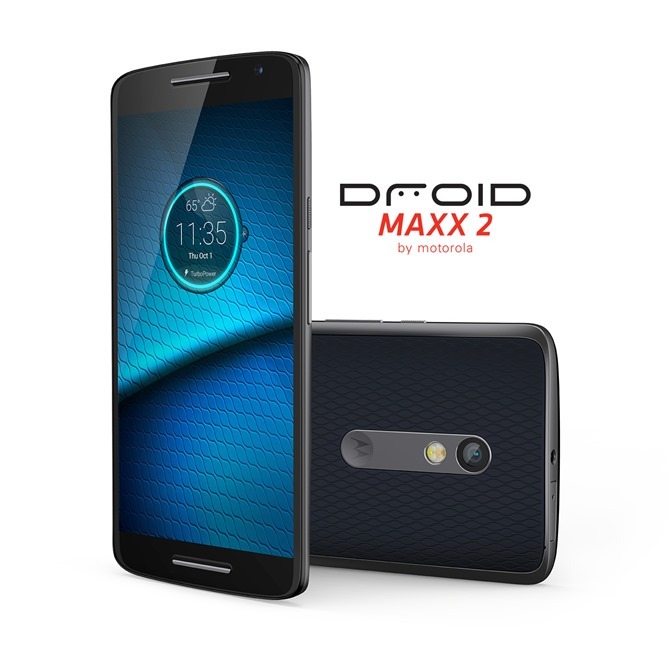 The new DROID Maxx 2 is a mid-range device that shares a lot of design DNA with the Moto X Play revealed earlier this year. It will go on sale on Thursday on Verizon's website and in retail stores with a price of $16 a month - that's $384 over a two-year period. The Maxx 2 doesn't use a shatter-proof screen and it isn't customizable on Moto Maker, but as a mid-range device it's more than respectable. The 5.5-inch screen uses a 1080p panel, and underneath the somewhat chunky exterior is a 3630mAh battery, barely beating the 3500mAh battery in the original. 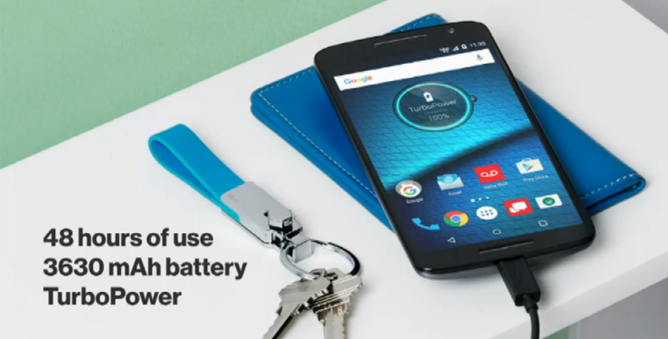 Motorola claims it can last two days on a charge. Fast charging will get you a quoted 8-hour boost with just 15 minutes of charge time. The rear camera is 21 megapixels, but video recording is maxed out at 1080p, and it's paired to a 5MP front-facing shooter. 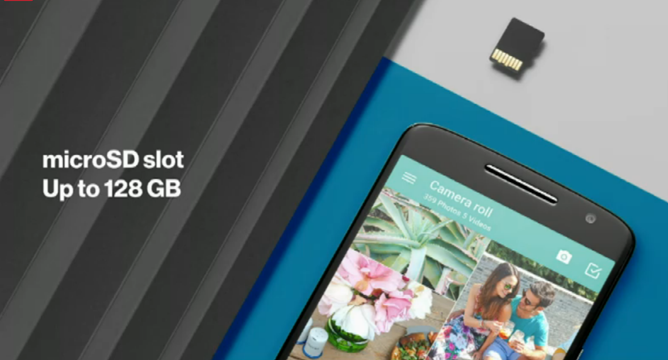 Like the recent Moto X devices, the Maxx 2 includes a MicroSD card slot. No access to Moto Maker is a bit of a bummer, but end users can customize the phone with interchangeable shells that pop off of the back - note that this doesn't mean that the battery is removable. Other specifications weren't confirmed in the presentation, but previous leaks indicate that the Maxx 2 uses a Snapdragon 615 processor and just 16GB of internal storage. There's no word on which version of Android is being used, but 5.1.1 seems like a decent bet. The phone will be offered in black or white colors in the store. Note the Moto X design elements, particularly the virtual navigation buttons - something that the DROID line hasn't used in several years. 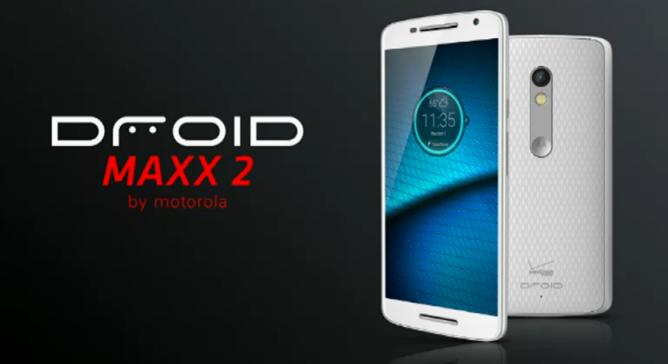 We'll have more information on the DROID Maxx 2 as it becomes available. 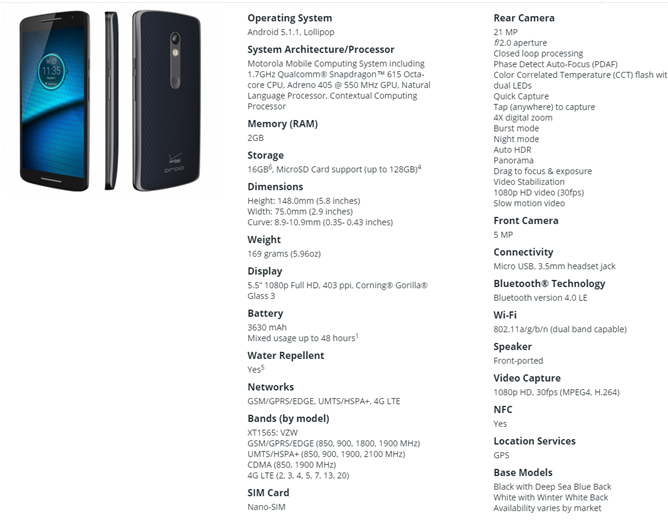 Motorola has put all the relevant information on its website. 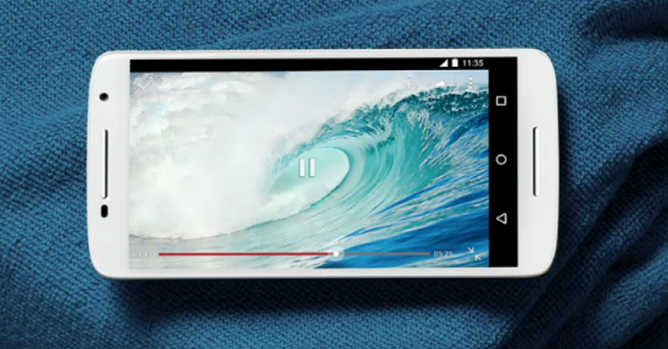 The phone uses 2GB of RAM, a Snapdragon 615 processor running at 1.7GHz, and it will be running Android 5.1.1 at launch. There is no mention of software updates.